John, a New Yorker by birth, moved to California with his parents, John and Regina Maus and his big sister Judy, when just a small child. 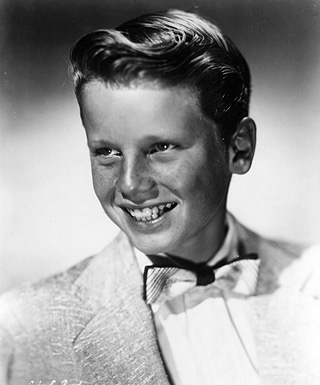 He enjoyed all the usual pursuits life there had to offer – surfing, baseball, football, even becoming a child actor for a time, appearing alongside Betty Hutton in the television sitcom series ‘Hello Mom’. As a teenager John discovered music. He taught himself to play a number of musical instruments but the guitar was soon to become his passion, giving lessons to the likes of Carl Wilson and David Marks of the Beach Boys who just happened to be neighbours! Whilst John taught Carl and David to play guitar, in the living room of the Maus family home, his dad busied himself fixing TV sets, a favourite hobby of his. At the same time his mum served endless cups of coffee to Judy, who was not only trying her best to study for her college courses, but who also had one ear up against the radio, listening for new songs she and John could learn! It was quite a happy mix of noise but needless to say the loud electric twang of John’s students was quite grating on the nerves at times! 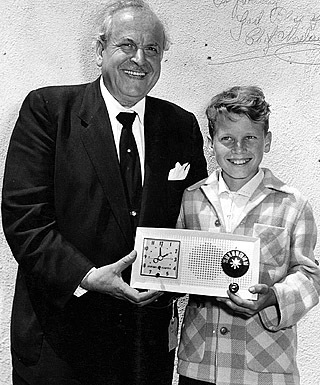 Carl and David were really determined to play like John and John was extremely patient with them as indeed were the rest of the family! Eventually, encouraged by their mother, John and Judy teamed up together to form a highly popular and successful dance band. The band changed both name and line-up several times over the years calling themselves ‘John and Judy‘, ‘Judy and the Gents‘ and ‘The John and Judy Four‘. The Maus siblings have fond memories of playing a particular series of gigs at an exclusive country club in Malibu when John was not only under age but had no fake identity either! He was forced, by the management, to sing and play guitar outside the venue but somewhat bizarrely, the rest of the band had to play inside the building! Not only were John and Judy singing duets without being able to hear much of each other, they couldn’t actually see each other either, as John was standing at the bottom of a rather steep incline with a somewhat cool Pacific breeze blowing all around him! During the breaks the rest of the band would pop out to see their fellow player, confer about the next set and give him much needed hot drinks! John and Judy still laugh about it to this day, especially when they pass by that particular club. Judy also remembers the time when the band, with Scott Engel as bass guitarist and Spider Webb on drums, was asked to audition for a very popular night - club called ‘The Kismet‘. At the audition they were up against a couple of very polished groups that had just come back from playing in Las Vegas. They were extremely nervous, for two reasons - Scott hated doing the choreography, which apparently, was obligatory in those days and they only knew four songs! Judy recalls, ’We were quite surprised to get the call from our agent that very evening to say that the gig was ours and boy did we have to learn about twenty five songs real fast. We would rehearse any chance we got, often in the dressing room between sets. Scott was going to art school at the time and he would sometimes get to the gig just in time to go on. It was sure fun and because the club was so packed the fire department had to monitor how many people could get in’. After each performance at about 2.30am they would have an early morning breakfast at one of their favourite coffee shops often followed by a game of bowling! 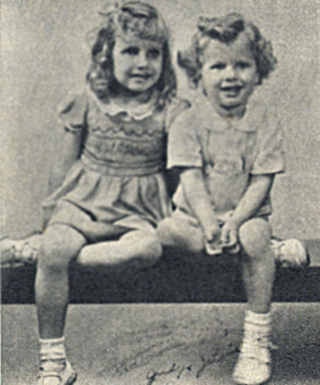 John and Judy’s parents were very supportive of them both just as long as they got the chores and homework done. Their father would drive them to any auditions and shows they were taking part in and their mother made sure they had a snack to take along. It was sheer heaven when John got his first car and the two of them could travel together without the embarrassment of having mum and dad around too! Sometime in late 1963, Ben Gazzari, who owned the biggest and best club, off the infamous Sunset Strip, was out one evening, talent spotting. He caught a performance by the ‘new look’ band – Judy had left by now and Al ‘Tiny’ Schneider had joined John and Scott as the drummer – he liked what he saw and immediately booked them to play in his club. 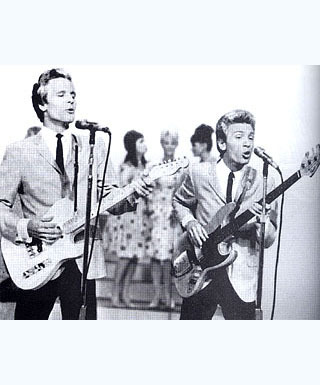 The group, performing as The Walker Brothers Trio, was an instant success with the audience and Gazzari offered them work on a regular basis as the resident house-band. Little did they know at the time, that this would prove to be an important turning point in their career. John, Scott and Tiny continued to perform together as a trio for about a year until Tiny left to pursue other musical avenues, whereupon Gary Leeds joined as the new drummer and The Walker Brothers we all know and love came to be. Gary takes the credit for persuading John and Scott to step out of their Californian comfort zone to head for ‘Swinging London’ where everything was ‘hip and happening!’ It was Gary’s father who wisely invested the $10,000 needed to pay for their flights and initial living costs and on a bitterly cold and snowy day this young, handsome, musically talented trio, landed on British soil in February 1965. The biggest gamble of their lives was about to pay off! Just a short while after touching down at Heathrow Airport, the group had a record in the Hit Parade, the romantic ballad ‘Love Her’ but it was their first British made disc, ‘Make It Easy On Yourself’, chosen by John himself, which zoomed to the top of the charts. The success of ‘Make It Easy’ was swiftly followed by another rock ballad, ‘My Ship Is Coming In’ and then the rather melancholy, ‘The Sun Ain’t Gonna Shine Anymore’. The entire nation was well and truly in the grip of ‘Walkermania’ and bedlam reigned wherever they went. Their rapid rise to stardom was complete. They came, they saw, they conquered and in the late sixties moved on to pursue solo careers. After briefly reforming in the mid-seventies with the classic Tom Rush number, ’No Regrets’ and a come back album of the same name, followed by a further two albums, ‘Lines’ and ‘Nite Flights’ the Walker Brothers broke – up in 1978. John then took a well-deserved rest from performing to perfect his craft as a recording engineer. He attended numerous courses to this end, ultimately building his own recording studio at his home in L.A. During this time he was also extremely busy as a record producer and composer, writing at first for other artists, under the umbrella of his own publishing company, Arena Artistes Association. 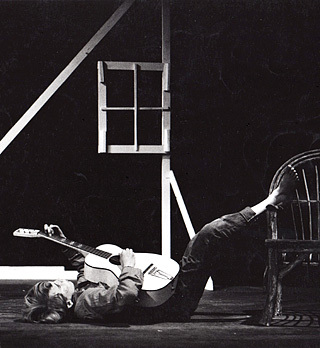 John was back in high demand as a ‘live’ performer after the release of his critically acclaimed ‘You’ CD and undaunted, after a number of years away, he once again took to the stage. 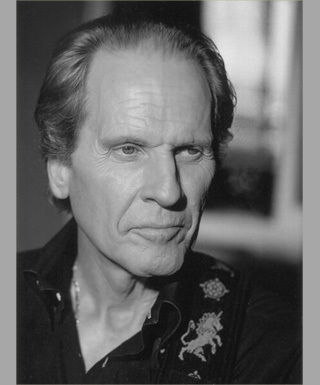 In 2004 John toured the UK as part of the Solid Silver Sixties package along with Peter Noone, Brian Hyland, Wayne Fontana and the Dakotas. This was an extensive tour covering the length and breadth of the country and 56 venues in total! John’s fans had waited a long time for this moment and were not disappointed. John wowed them all, in his own inimitable style, just as he did all those years ago and proved he had not lost any of his ‘star quality’. He sang the Walker Brothers’ classics as well as songs by some of his favourite performers. 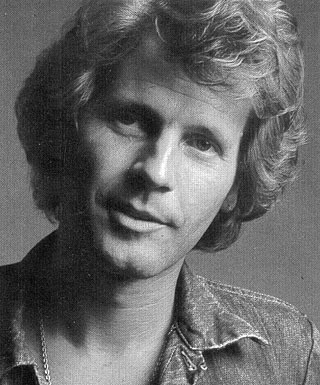 Following on from the triumphant success of the tour, John’s earlier solo album, entitled ‘If You Go Away’, which was originally recorded in London in the late sixties, was digitally re-mastered to the highest quality by Universal records and much to the delight of John’s fans from around the globe was released on CD, by Repertoire Records of Hamburg. The tracks on this gem of a CD had only been previously available on vinyl. Many of the songs on the album are about the beauty in nature which is often taken for granted. ’One gets the impression that some of the incidents he is singing about he has at one stage of his life experienced himself and in his voice there is at times a strange sense of sadness which is extremely attractive’. At the end of the tour and after a somewhat belated honeymoon with his wife Cynthia, John returned once more to California and immediately set to work on writing and producing yet another album. Richard Park soon caught up with him in Beverley Hills, California to interview him for the TV show, ‘Britain’s Favourite Break - Up Song’. John’s main part was to discuss ‘The Sun Ain’t Gonna Shine Anymore’, which actually came ninth, in the U.K national poll. John said, ‘Having a song like ‘The Sun’ that was recorded 40 years earlier and still has an impact on peoples’ lives, for me as an artist, to have been a part of something like that is one of the rewards you get in your career that are very rare and it’s actually a really, really wonderful feeling’. John just couldn’t stay away from the UK for long and soon found himself back on British shores to take part in a recording for an American TV Show about the ‘British Pop Invasion’ and as we know only too well, John is an all American guy! The day of the recording began, somewhat worryingly for John after his suitcase, along with his stage clothes, went missing at the airport. Fortunately, for him, they were tracked down and eventually arrived with just minutes to spare before he was due on stage and a trip to Moss Brothers quickly averted! John appeared, suitably attired, with his wife Cynthia and Eddie Mooney from the Dakotas, for the recording, at the Victoria Hall, Stoke-on-Trent, where they sang ‘The Sun Ain’t Gonna Shine Anymore’ and ‘Make It Easy On Yourself’. Other stars taking part were, The Zombies, Manfred Mann, The Troggs, Peter and Gordon and The Searchers. The programme is due to be aired on American Television in March 2007 and will also be released world - wide on DVD. It will be broadcast in the U.K. towards the end of 2007. 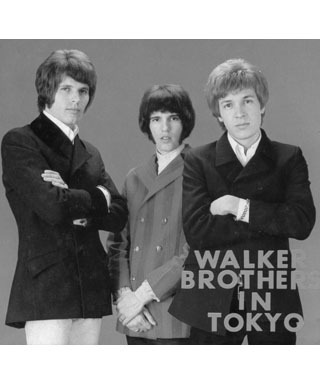 March 2006 saw the re- release of the Walker Brothers’ ‘The Sun Ain’t Gonna Shine Anymore’ as a single and in May 2006 ‘The Best Of Scott Walker and The Walker Brothers’ was released as a new compilation CD, reaching number 24 in the UK album charts. Radio stations interviewed John extensively, across the country to help promote both of these releases. In July 2006 the 5 CD Box - Set ‘Everything Under The Sun’ was released. This ‘breathtaking compendium’ contains the Walker Brothers’ entire back catalogue together with fourteen previously unreleased songs. Again John was actively involved in promotional work, taking part in numerous radio interviews, as well as those for magazines and newspapers. John, as popular as ever as a solo artist, is stepping up yet another gear to take to the road, once again, as part of the Solid Silver Sixties 2007 package. The opening night of the tour takes place on Wednesday evening 21st February at Southport Theatre and closes on Sunday night, 29th April at the London Palladium. Not content with merely touring, John will be busy promoting his latest ten- track CD, which is due for release to coincide with the tour. Two of the songs on the album –‘Just For You’ and ‘The Ballad’ were written many years ago and until now John has never been able to record these songs in the manner in which he felt they should be. Included on the CD are three great songs, written by other artistes, which are a little different for John but simply perfect for this album. On drums is John’s great friend and original Walker Brother drummer, Al ‘Tiny’ Schneider, who incidentally used to play with the Everly Brothers. John’s sister Judy joins him on backing vocals along with wife Cynthia, a fine classically trained musician in her own right, who is also responsible for ‘those beautifully sweet string arrangements’. This new, artistically inspired, seductive rock album, entitled ‘Just For You’ is exquisite! Technically, the quality is superb - this is John at his very, very best. John says, ‘The recording of this CD has been a long and satisfying, musical, emotional journey for me. I am and always will be a hopeless romantic. The songs on this album are very personal and are a reflection of how I feel at this important time in my life’. John is really enjoying life back in the limelight and is ‘not done yet’. Instead of winding down, John’s career continues to go from strength to strength and plans are afoot for John to continue touring both in the UK and Europe whilst penning yet another album for future release.